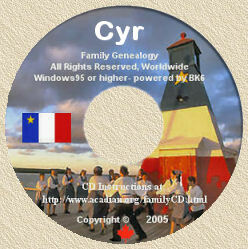 Acadian Genealogy Homepage; Acadian Surnames (Edwards to Guyon)! Note: I've only included those surnames which appear a minimum of 50 times on the CD's. Note: I've only included those surnames which appear a minimum of 30 times on the CD's. Click here to view surnames on the CD's starting with the letters"D"